Photo by Samuel H. Gottscho. 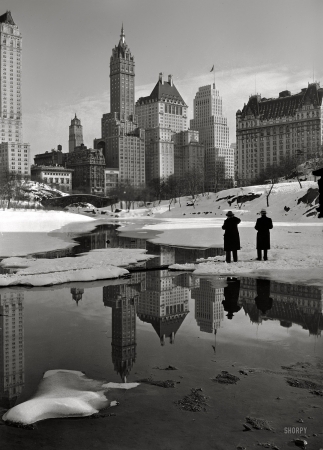 New York 1933. Savoy Plaza and Plaza hotels from Central Park.